The new year is starting off with a bang! Join Sierra Commons for a 6-part “Tech Talk” lecture and networking series to share new ideas, ongoing projects, and interesting work that Nevada County residents are doing in the fields of science, engineering, and technology. Designed to inspire Nevada County’s technology community and act as a catalyst for collaboration, Tech Talks will take place at Sierra Commons (107 Sacramento Street on the third floor of the Stone House building) in Nevada City on the second Thursday of each month from 6:00-8:00pm, starting on January 13. Ken Krugler has been a software developer, consultant, trainer and entrepreneur for over 20 years. His Bixo Labs startup creates custom solutions for large-scale web mining and data analysis problems. He is active in the open source community and an expert in search, web crawling and data mining. Ken’s talk will introduce the technologies used to deal with Big Data, and the potential impact (both good and bad) that successful Big Data projects can have on business and individuals. Web page clicks, electronic medical records, “smart meters” and Facebook social graphs are all examples of datasets that are too big to be processed using traditional databases and tools. These are also all examples of data that can yield billion dollar payouts if analyzed properly. Join them for Ken’s Tech Talk at 7:00 pm following informal networking from 6:00 to 7:00 pm (a limited supply of beer will be available as an incentive for early arrivals). Tech Talks are free to all techie types who are residents of Nevada County, but a $5 donation to cover costs would be appreciated. Scheduled topics include: big data, smart grid technology, electric mobility, and data modeling for wildlife populations. Please RSVP for this and future Tech Talks at techtalk@sierracommons.org or by calling (530) 265-8443. Nevada County experiences a higher than average out-of-county migration after high school graduation or attendance at Sierra College. Students who leave the county to attend 4-year institutions typically stay in those areas or other more densely populated regions as they begin their careers and their own businesses. The Nevada County Economic Resource Council (ERC) and the Nevada County New Business Network (NCNBN) recognize that the Gold Country’s true wealth is its youth. NCNBN seeks to attract and retain young professionals and entrepreneurs between the ages of 20-40, especially former Nevada Union, Bear River and Truckee High School graduates, who have or are interested in started a business. *Send us your info for the on-line directory of young professionals, businesses, community leaders, and investors. *Sign up for our newsletter, blog and Facebook page to keep up to date with NCNBN. *Become a mentor and share your wealth of business experience. *Spread the word! Tell friends, family, colleagues, and business associates about the program. The entire community benefits from a pool of bright, talented young professionals. 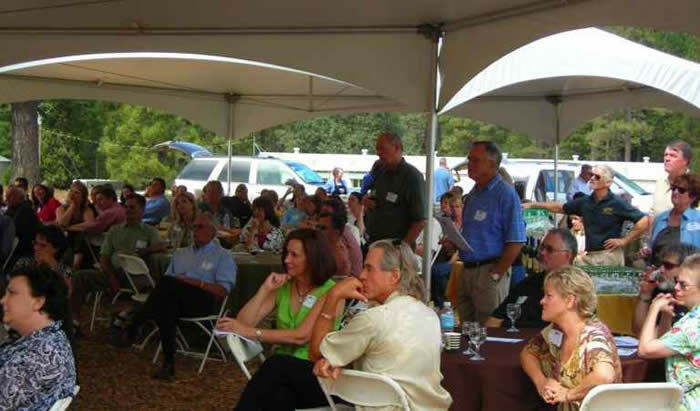 The Nevada County Economic Resource Council Foundation and Citizens Bank of Northern California present the annual Tour of Nevada County, Thursday September 23, 2010. Join business owners, government officials, and other local movers and shakers on a one-day excursion of five local export manufacturing companies, including AJA Video Systems, Cranmer Engineering, High Sierra Electronics, Eigen and Mini Mania. The Tour of Nevada County offers attendees a unique look behind the manzanita curtain at the companies that contribute to the economic engine that drives business in Nevada County. Hear about these businesses successes and challenges directly from their founders and presidents. Meet and network with like-minded business owners and entrepreneurs while gaining a better understanding of business vitality in Nevada County. Attendees are greeted with coffee and pastries upon arrival, before heading out to visit five local export manufacturing companies on air-conditioned tour buses. Each bus is lead by a tour guide familiar with each of the businesses and the business community at large. 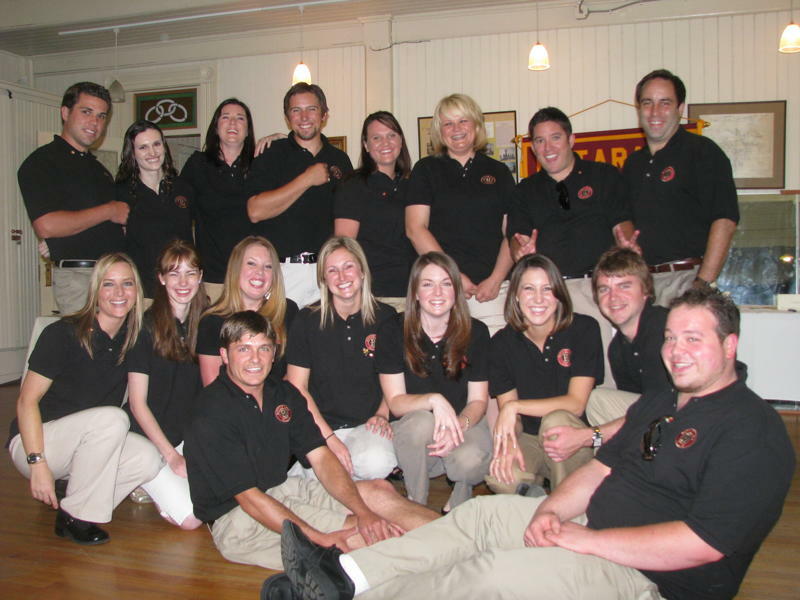 Past tour guides have included Judy Hess of Citizens Bank, Rod Fivelstad of the Grass Valley Rotary, Andy Burton of Full Spectrum Marketing, among others. Groups break for a gourmet lunch and wrap up the day with a wine tasting. This is a must do event for any new or established business or entrepreneur looking to start a business in Nevada County. The tour will start and end at Litton Field, 200 Litton Drive (off Sierra College Blvd). Watch for signs. $65, Advance payment required. No walk-ins. Please call us at 530-274-8455. Comfortable shoes, casual clothing, hats and sunscreen suggested. It was a full house at last week’s Small Business & Entrepreneur Seminar presented by the Nevada County Economic Resource Council, New Business Network and HWare, at the Holiday Inn Express in Grass Valley, CA. 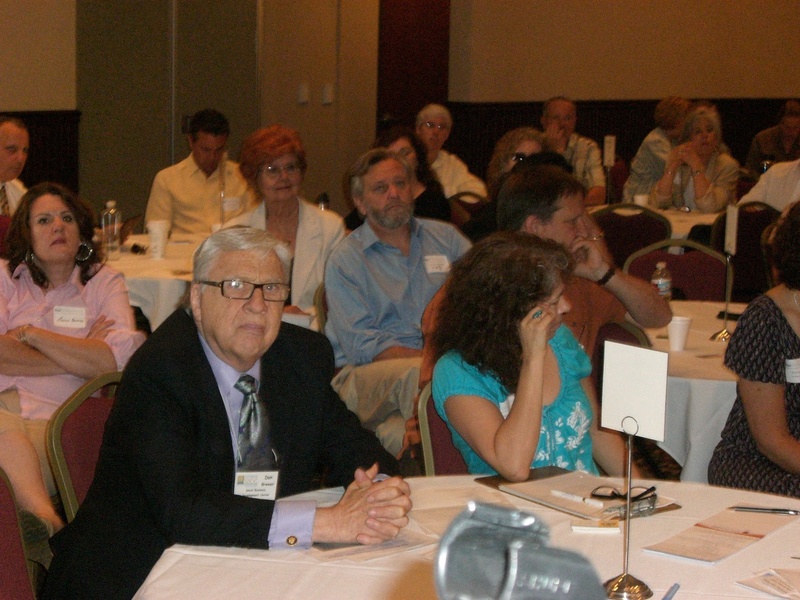 Over 160 people attended the morning workshop which covered the resources available to local business owners and entrepreneurs including starting a business in Nevada County – the demographics, industries, and markets; public funding and private lending opportunities; advertising, marketing and promotions; sustainable business practices; and social networks. Representatives from the Economic Resource Council, Sierra Economic Development Corporation (SEDCorp), One-Stop Business & Career Center, Small Business Development Center (SBDC), City of Grass Valley, City of Nevada City, GROWSierra Foothills and many others were on hand to share information on the various programs each offered that would help business owners and entrepreneurs. If you were unable to attend, much of the information can be obtained from our site including many of the presenters presentations here. The Nevada County Economic Resource Council: The ERC is dedicated and positioned to assist in business attraction, creation and retention. Our economic professionals collaborate with community leaders in business, government, chambers of commerce and business associations. The ERC is your partner for success in Nevada County. Taking advantage of comprehensive demographic data, our concierge assistance and re-locator services, the ERC has the tools and talent to help you build a solid business in Nevada County; where quality of life and a solid business environment work hand-in-hand. The ERC is committed to preserving the present and future vitality of Nevada County’s culturally rich and progressive economy. We are at your service. For more information contact Gil Mathew at (530) 274-8455 or at info@ncerc.org. Please visit www.ncerc.org. Nevada County New Business Network: The NCNBN is a program of the ERC that aims to empowering the next generation of entrepreneurs in Nevada County. We are building a comprehensive on-line resource directory of recent and former local graduates, which includes contact, biographical and technical information, with the aim of reaching out to Nevada County graduates who have or are interested in returning to Nevada County to start or build their business and professional careers. For more information go to our blog www.ncnewbiznetwork.wordpress.com or become our friend on Facebook. You can also contact Jesse Locks at (530) 274-8455 or jesse@ncerc.org. Hware: Feeling overwhelmed with your start-up? Not sure what to focus on as a non-profit? As an entrepreneur, do you have a great product/service, but no one is paying attention? Too many customer service complaints in your small business? Welcome to Hware – HumanityWare. We deliver our training tools and systems over the internet. Always simple to use, convenient, and high-quality, but don’t take our word for it. Try our FREE demo of our latest online training course, “Getting Started with Social Media for Small Business” and see for yourself. Please contact Brenda Horton at Brendah@hware.com.. Click here to download Brenda’s presentation on Social Networking. One-Stop Business & Career Center is the connection point for job seekers and employers. Based upon teamwork and dedication, we are committed to providing job seekers and the business community with quality services delivered with integrity and professionalism. We offer a wide range of high-quality services—most at no cost. Through collaboration with partnering agencies, we work to improve the quality, productivity and competitiveness of our workforce and as a result, strengthen the local economy. For more information go to www.nevadacountyonestop.org. The Sierra Economic Development Corporation (SEDCorp) is a private non-profit organization devoted to supporting the economic development of the rural communities north and east of Sacramento. Formed through a joint powers agreement by the counties of El Dorado, Placer, Nevada and Sierra in 1969, SEDCorp provides service in three primary program areas. First, SEDCorp supports local jurisdictions in their economic development efforts, providing expertise often lacking in small local governments. SEDCorp works with those jurisdictions to secure grant funds from a variety of sources for high priority projects. Second, SEDCorp supports the region’s businesses with a variety of training events ranging from single-subject sessions on such topics as bookkeeping and local business resources (click here for list of upcoming classes) to intensive three-day business “boot camps” to teach the fundamentals of sound business planning from inception to retirement. Third, SEDCorp is a small business lender. SEDCorp provides a number of loan products sourced from the U.S. Small Business Administration (http://www.sba.gov/) and the Department of Agriculture (http://www.cdfa.ca.gov/) to a service area that extends across all the counties touching the border with Nevada from Sacramento to Oregon. For more information go to www.sedcorp.biz. The Northeastern California Sierra Business Development Center (SBDC) – Greater Sacramento region at Los Rios assists existing businesses in becoming competitive in a complex marketplace and helps emerging entrepreneurs realize their dream of business ownership. The SBDC program is one of the State’s most important economic development programs. With a twenty year history in California, a wealth of expertise, and well established resource partnerships, the SBDC is a trusted network that stimulates the region’s economy. Our SBA federal funding mandates focus on business expansion, start-ups, job creation/ retention and capital infusion. For more information go to www.sbdc.net. The Private Industry Council of Butte County, Inc (PIC) is a private-non-profit corporation. It is governed by a 19 member PIC Board comprised of private and public sector representatives appointed by the Butte County Board of Supervisors. The Private Industry Council administers Federal and State Work Force Investment Act (WIA) funds for employment and job training and related programs and services. For more information go to www.buttepic.org. GROWSierra Foothills is a joint effort of the ERC and Golden Capital Network (GNC) to provide a voice for innovative, growth-oriented businesses; bring public recognition to the best private companies in the region; and provide valuable private referrals for you to entities that can add value to your company from a wide range of industry experts. GROWSierra Foothills is part of a statewide effort called GROWCalifornia. City of Nevada City – Nevada City businesses looking to expand may be eligible to dip into a $300,000 pot of low-interest loan money. The Community Development Block Grant (CDBG) program is a flexible program that provides communities with resources to address a wide range of unique community development needs. Beginning in 1974, the CDBG program is one of the longest continuously run programs at HUD. The CDBG program provides annual grants on a formula basis to 1209 general units of local government and States. New or existing businesses can apply for the grant to complete a range of improvement projects, including adding new employees and upgrading facilities. Contact Evert Frisk, CDBG Volunteer Project Coordinator for more information, 530-265-2496, Evert.Frisk@co.nevada.ca.us. City of Grass Valley offers a Community Development Block Grant General Allocation application for up to $800,000 for two activities: (1) Public Improvements in Support of Housing New Construction and (2) Housing Rehabilitation. For more information contact Joe Heckel, Community Development Director, 530-274-4349 or joeh@cityofgrassvalley.com. Spiral Internet is a graphic design and website development company located in Nevada City, California – the foothills of the Sierra Nevada mountains. A fast T1 connection to the Internet, digital direct-to-plate printing, and FedEx have allowed our creative team to work with clients throughout the USA and overseas. Spiral works best with small to medium-size businesses or departments within corporations providing nimble design and web technology services. For more information go to www.spiralinternet.com. John Paul’s presentation can be downloaded at http://www.spiralinternet.com/7in7.php. Full Spectrum Marketing Services includes print, design, data, direct mail and consulting. For more information go to www.fullspectrumms.com. Coryon Redd, President of batteries4less.com is a successful entrepreneur who will teach you the techniques he has used to get his business to the top of Google. Sierra Commons primary goal is to support emerging businesses. We do this by providing turn-key infrastructure for member businesses, and by building community and business acumen through peer mentoring and networking. We are here to help strengthen the local economy through job creation, retention, and increased local revenues. The mission of Sierra Commons is to enable sustainable economic development in Nevada County by supporting emerging businesses compatible with the interests of the community. Sierra Commons keeps barriers low and nurtures worthwhile ventures by providing infrastructural, informational, and community resources needed to commercialize and market new products and services. For more information go to www.sierracommons.org. Barbi Jackson is the co-owner and business manager of Scott Jackson’s Real Life Fitness Personal Training Studio in Nevada City, CA. As a Nevada County resident since 1972, she has worked for numerous small businesses, contributing to their success. Barbi believes her involvement in both Grass Valley and Nevada City’s Chamber of Commerce over the last several years has provided countless opportunities for growth. Her passion for sales, marketing, networking and teaching inspire her to share with others looking to be successful in small business. Nevada County Social Networks – Find your tribe, introduction of local professional organizations on hand to discuss membership, benefits and how you can get involved in the local business community. Nevada City Chamber of Commerce The Nevada City Chamber of Commerce is a voluntary partnership of business and professional people working together to promote commerce, business and tourism through marketing campaigns, promotions and events. While emphasizing our quality of life and historic environment, our goal is to benefit merchants and citizens both professionally and economically. Grass Valley Chamber of Commerce For over 100 years, the Grass Valley/Nevada County Chamber has actively promoted the economic development of businesses and our community. South County Chamber of Commerce: The South Nevada County Chamber of Commerce mission is to provide a voice for the business community and enhance the economic vitality of South Nevada County. The Exchange A group of peers collaborating on the social network and economic development of our Western Nevada County for tomorrow. The 49er Rotary Club was officially chartered on November 6, 1990, with 42 charter members. The goal was to provide a morning club for the area, which met for one hour. Since it’s charter, the club has grown to over 90 members and is quite active in the community, as well as internationally. APPLE Center for Sustainable Living -The APPLE Center is run by APPLE-NC, the Alliance for a Post-Petroleum Local Economy of Nevada County. A physical and virtual hub to facilitate Western Nevada County’s transition to a sustainable community. The Center serves the general public as a community gathering place for “greening” their lives. It’s a place where visitors and locals can connect to businesses and organizations that provide knowledge and tools for living sustainably. Local Green Sierra A Green Business Directory for the Northern Sierra. Think Local First – “Think Local First” is a term developed by the members of BALLE networks to refer to our commitment to our communities. Rather than simply promoting “buying” local, we are suggesting our larger role as stewards. By thinking local, we can make choices that have dramatic impact on our local communities, economies, and environments. We recognize that we will rarely be able to buy everything we need or use from local independent businesses. But we are advocating that people first think local – look first for local and locally owned sources of the things they need and want – to maximize the impact of their daily actions and purchasing decisions. Sierra Green Building Association (SIGBA) To educate and promote environmental building and business practices for a sustainable lifestyle in the Sierra Nevada communities. 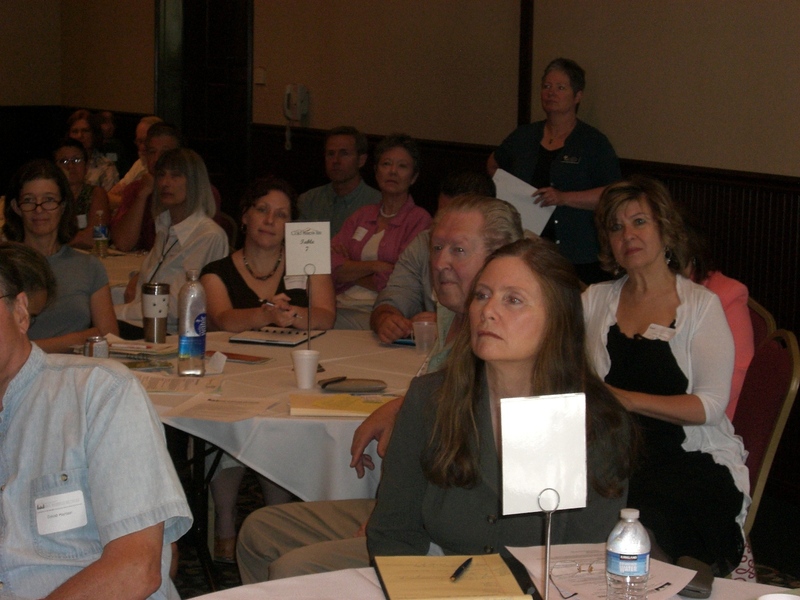 Toastmasters – Most Toastmasters meetings are comprised of approximately 20 people who meet weekly for an hour or two. Participants practice and learn skills by filling a meeting role, ranging from giving a prepared speech or an impromptu one to serving as timer, evaluator or grammarian. 10 min Speed Networking – Get to know other local business owners. 30 min Resources & Programs – Sandy Dumont, Nevada County One-Stop Business Center; Representative from SEDCorp, Representative from SBDC. Both organizations offer a wide range of high-quality services—most at no cost – including workshops, seminars, additional training, and more. 35 min Funding & Private Lending Opportunities – SEDCorp; Bill Finley, Butte Private Industry Council; Jon Gregory, GROWSierra Foothills; City Councilwoman Sally Harris of City of Nevada City, Mayor Lisa Swarthout of City of Grass Valley. What monies are available to new business owners? What do you need to know when applying for loans and grants? The importance of marketing, branding, social media and a functioning website. 40 min Social Networks – Barbi Jackson, Nevada City Chamber of Commerce – Find your tribe, introduction of local professional organizations on hand to discuss membership, benefits, and how you can get involved in the local business community. Are you a start-up or in the early stages of building your company? Are you an established small business owner looking to learn more about market opportunities and local business resources? Do you want to know how you can ensure business success in today’s tough economic climate? Or do you want to know if it is too risky to start a business now…or a great opportunity? On Thursday, June 24, 2010 at the Holiday Inn Express in Grass Valley, CA, the Nevada County Economic Resource Council (ERC), New Business Network, and H-Ware will present a Small Business and Entrepreneur Seminar for local business owners and entrepreneurs. This free three-hour seminar will cover the many business resources that are available to business owners and entrepreneurs, including starting a business in Nevada County – the demographics, industries, and markets; public funding and private lending opportunities; advertising, marketing and promotions; sustainable business practices; and social networks. Hear from trusted and knowledgeable business experts and professionals from the ERC, SEDCorp, the One-Stop Business Center, GROWSierra Foothills, Private Industry Council of Butte County, City of Nevada City, City of Grass Valley, and Sierra Commons. Find your tribe! The Nevada City Chamber of Commerce will introduce the area’s many local professional organizations including Business and Professional Women, Soroptomist of Nevada County, The Exchange, Rotary, Local Green Sierra/Green Drinks, Think Local First, WHEEL, and SIGBA among others. Don’t miss out on this great opportunity to meet like-minded people that are going through similar situations. Make new connections to build up your network and support system. Share ideas and leave inspired. Don’t forget to bring LOTS of business cards for networking.